Michael Florio breaks the glass on his last-minute Draft Advice for the big weekend. We made it! We have MLB games that matter and the biggest draft weekend of the Fantasy Baseball season is here! But, with most people having their big drafts this weekend, everyone is up to date with the latest news and all your league mates have read up on the great value picks. That’s right, all while you were here in the brutally cold months studying and finding great late round picks like Domingo Santana and Kenta Maeda in your early drafts. As the months have gone by you have seen them and other popular picks climb and climb up the draft board until all the value has been sucked out of them. Don’t over think though. That is my first piece of advice to those drafting this weekend. The chances are you have done multiple drafts already and read a bunch of fantasy baseball articles. You research the players and listen to podcast/watch videos. You should feel confident in your knowledge. Do not think just because the guys in your league have now done their research that you have to attack drafts differently. Too many times owners try to do something different and end up getting too cute. Just believe in your knowledge and stick to your strategy. With that being said, my next piece of last-minute draft advice is… don’t be afraid to adjust on the fly. I know, I just said stick to your strategy. And I mean that. My pitching strategy all year has been to draft one of the (now) 12 aces, and I have done that in all my drafts… but one. In a 15-team higher stakes draft that I was in this week, my co-owner and I were all set on taking a pitcher in round two and sitting there was Trevor Bauer, who I am very bullish about. But my co-owner pointed out that Giancarlo Stanton was sitting there (we were the 4th pick) in the late second round. If this was just me drafting I may have caved and stuck to my pitcher plan. But seeing the value that was simply too good to pass, we jumped on Giancarlo. We missed out on all the aces and ended up taking our first pitcher in round four. I had not done that in any drafts this season. Yet, I saw a way to make my team as good as I possibly could make and we decided to jump on it and adjust as we go on. 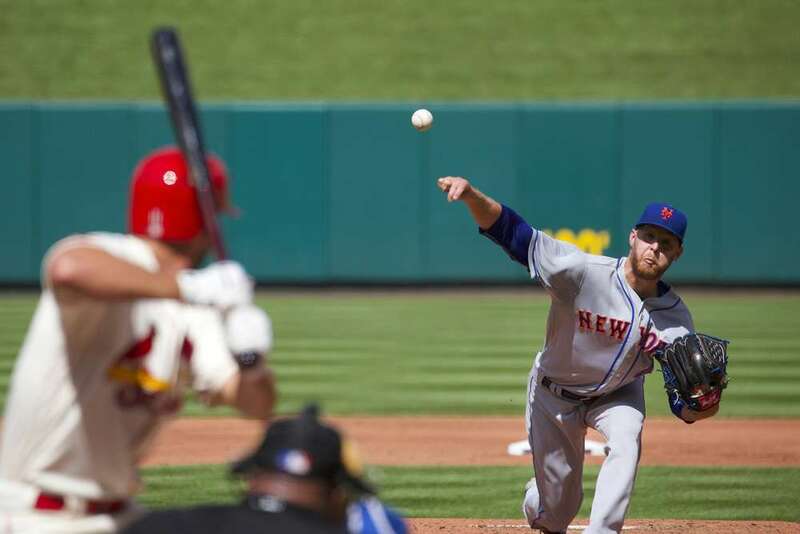 Speaking of that first pitcher in the fourth round… it was Zack Wheeler, who is my biggest target this season. Back in January, I was getting Wheeler as my SP3 in the sixth or seventh rounds of drafts. In February, I was getting him sometimes as my SP3, but sometimes as my SP2, now in the fifth round. And finally, here in March, I am drafting him in the fourth round as my SP1 in a draft. The lesson to be learned here? Get your guy! Wheeler is the player I have most targeted this season. I have had him ranked as a Top 15 starting pitcher all draft season. So why would I not draft him just because it cost more now? If you feel bullish on a player go and get him even if it costs more than it did a month ago. But be disciplined with it. My guidance is to set a limit. For example, I would be willing to take Wheeler as the SP13 off the board if I had too. But if he started to go inside the Top 12 pitchers, I would no longer be ending up with him. Don’t get suckered in by two games. You are going to see players from the Japan series seriously start to climb up draft boards. Domingo Santana hit a grand slam and stole a base. That probably propels him a round or two up draft boards. I also expect Matt Chapman, Hunter Strickland, and Marcus Semien to climb. Do not overreact to two games. By all means, if you are bullish on any of these players, well, get your guy. But if you were targeting a player because you liked the value he was going, for example, I have a lot of early shares of Santana because of his price. Now that he is going to climb, I am less likely to get him. I am not moving him up my rankings because he hit a home run. Fantasy players tend to overreact to very small sample sizes when it is placed under a microscope as a stand-alone game. Do not be suckered in by this hype and overpay for a player because of two games. My last piece of advice is for those of you in auction leagues. I know you hear the usual advice nominate players you like, be disciplined with your budget and don’t leave money at the table. That is all good advice and you should follow it. But here is one trick I like to use in auction drafts. 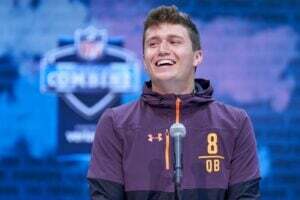 You know the point toward the end of the draft where players are running low on money but have multiple spots to fill? It typically ends up with a lot of players going for $1 because most teams simply don’t have the funds to top it. My advice at this part is to try to hold on to a little bit of money to be able to bid $2 on some of the later round targets you like. But, when it is your turn to nominate do not nominate your favorite late round targets. Wait until someone else does and then you can throw your max bid of $2 on those players. In many cases, that will be enough to win, as teams will be low on funds. If you nominate the players you like, you have to do so for $2. If you throw them out for a $1 (many people just click nominate and do not change the price) then you are at the mercy of others not bidding another dollar, which you will be unable to top. Also, if you and your friends gather in person for the auction, always try to sneak in some value if the room gets distracted. There will be a pick that people make fun of or maybe a fun ending to a college basketball game and may take some of the eyes of the drafters off the board. My friends and I all gather for our online auction and typically, every year there is at least one time where people tend to lose focus and you can potentially slip some value by. If you want to follow me on Twitter you can do so, @MichaelFFlorio. Need more last minute draft advice? For more great rankings, strategy, and analysis check out the 2019 FantraxHQ Fantasy Baseball Draft Kit. We’ll be adding more content from now right up until Opening Day!